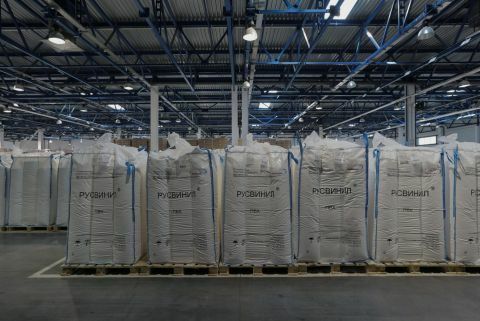 Kstovo – February 13, 2017 - In 2016 RusVinyl – the PVC-production joint venture of SIBUR and Solvay – has demonstrated the increase of the production volumes by 28% compared to 2015. The production volumes growth has been achieved together with reached project capacities. As a result, the company has produced 282 kt of PVC suspension and 23 kt of PVC emulsion. The yearly production volume of caustic soda – accompanying product of the PVC production process – has also increased and amounted to around 200 kt. “This year RusVinyl is not planning to slow down the pace, we plan to fully use our production capacities. Moreover, new grades of PVC are being started up into commercial operation, such grades that are used in promising applications, like vinyl wallpaper production” – Guenther Nadolny, the CEO of the company, commented on the results of 2016.